Ski Season Is Just Around The Corner! - CTS Wholesale LLC. Ski Season Is Just Around The Corner! Ski season is right around the corner, bringing with it plenty of fresh powder and the ski junkies that crave it! Whether skiing, snowboarding or snowmobiling, everyone will be out to grab a pair of goggles, so be sure to have some ready and waiting. CTS has a terrific selection of ski goggles that are all available wholesale, by the dozen, at prices that ensure you'll be happy. Ski goggles are available in a variety of styles, ranging from a full sized lens shape, to slimmer, more stream lined styles of lenses. Quality Ski Goggles will have a durable elastic headband, ensuring they stay in place during the demands of any ski related sporting activity. Another quality that impacts a potential customers' selection is the lens tint. Many people prefer a colored lens tint to clarify vision, such as a yellow tinted lens. Other people prefer a nice gradient lens tint that allows them to have an unobstructed view when they so choose. Still others prefer a nice mirrored lens quality, to reflect as many harmful rays as possible. All ski goggles should offer 100% UVA & UVB protection as well, ensuring eye safety. Offering a nice selection of ski goggles is key to impressive profits, as well as utilizing a reputable supplier of quality goggles, such as CTS Wholesale. CTS carries a wide variety of ski goggles that are ideal for any and all skiing activities. Goggles from CTS are always sold by the dozen, and will come with a nice assortment of lens tints and frame colors as well. With prices starting as low as $28 a dozen. 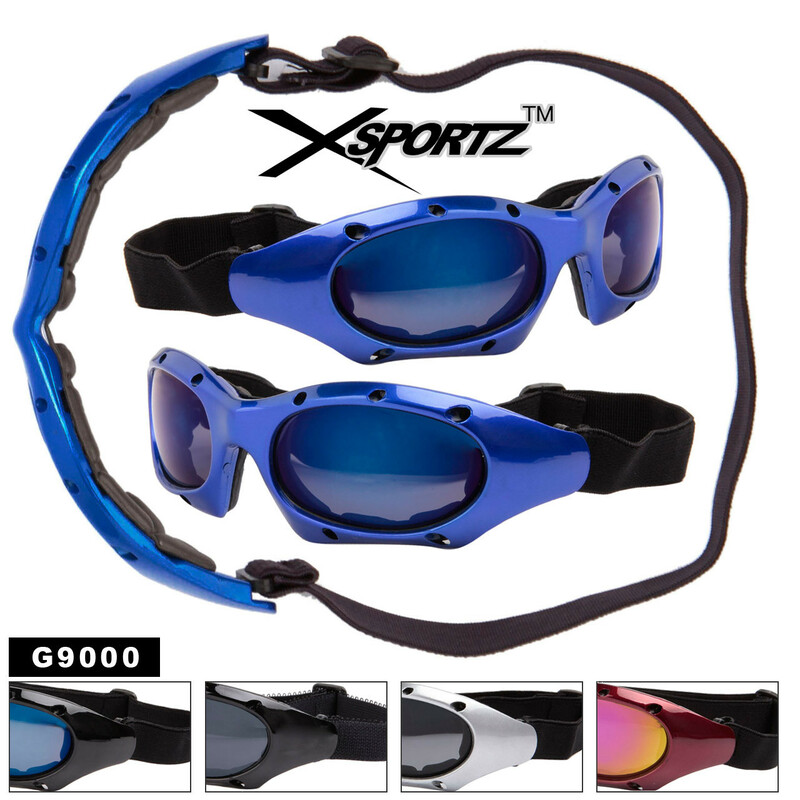 What ever your budget you can be assured that the goggles you purchase at CTS will be made to withstand the stress of the sports they will be utilized for.